He was a naturalist whose observations and writings were internationally recognized as authoritative. Invented (of a sorts) the concepts of species and sub-species that was directly influential on Darwin (according to Darwin). He was a member of the Royal Society. A hydrologist ( weather and currents and ) whose writings were consulted and authoritative two hundred years after his death. Dampier was also, during some of his voyages, a pirate. As well as an authorized and as a not-so-authorized agent of his government. He was a speculator. But he was an investor and speculator not sitting behind his Bloomberg terminal, but out there on the oceans chasing, literally the edge (not of the envelope, but) of the known world. He was the author of several books which were massive best-sellers and influential (for the age). His writings were accepted as authoritative by the Royal Society and he is also widely acknowledged as a primary "source" for Daniel Defoe's and Jonathan Swift's fictions. Dampier was brilliant, humane, and progressive -- for his era, not racist, tolerant, open-minded regarding the peoples he encountered in South America, Asia, and Africa. He was kind of an environmentalist. He was also not a Saint: He was apparently sometimes a drunk (though he met a fairly high standard definition of a functioning alcoholic), personally abusive, and dictatorial to his staff/crew/fellow ship officers who weren't as smart as he was -- no tolerance at all for bad behavior (as he defined it). He abandoned his wife (though conscientiously protected and provided for her financially) and did not father children (as far as we know). Not a Royal or a Cambridge swell. He went around the world -- not as a passenger -- but as an explorer and guide -- at a time when the concept of going around the world was almost unthinkable. He was a leading botanical / geographical / meteorological scientist of his time. He was a best-selling author. There is nothing like him today. I don't want to say that William Dampier is a hero or model . . . but if you want to gain insight into the greatest experiences that humans can have (along with the Everest-climbers etc.) 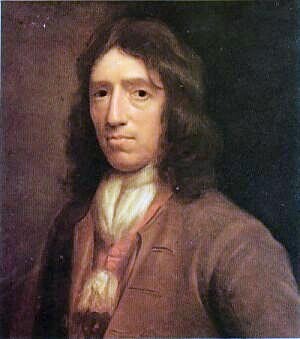 -- check out William Dampier.